At Homeland HomeHealth, we believe the care a person receives makes a difference in his or her life. Our palliative care program is patient and family-centered care that recognizes the human side of illness, and optimizes quality of life by anticipating, preventing, and treating pain. Patients, families, palliative and non-palliative health care providers collaborate and communicate to facilitate patient autonomy. Our interdisciplinary team addresses physical, intellectual, emotional, social, and spiritual needs. Services are available concurrently with or independent of curative or life-prolonging care. Hopes for peace and dignity are supported throughout the course of illness, during the dying process, and after death. To request a palliative care consult, please contact us at 717-412-0166. 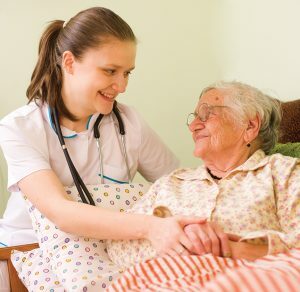 Providing eligibility requirements are met, Homeland HomeHealth palliative care is covered by Medicare, Medicaid, and most private insurances.